Hi there! It's Dana from This Silly Girl's Life and I'm so excited to be guest posting today for Rina! Make pudding according to directions on the back of the box. In a bowl, place half of the pudding and half of the whipped topping. Fold together until combined. 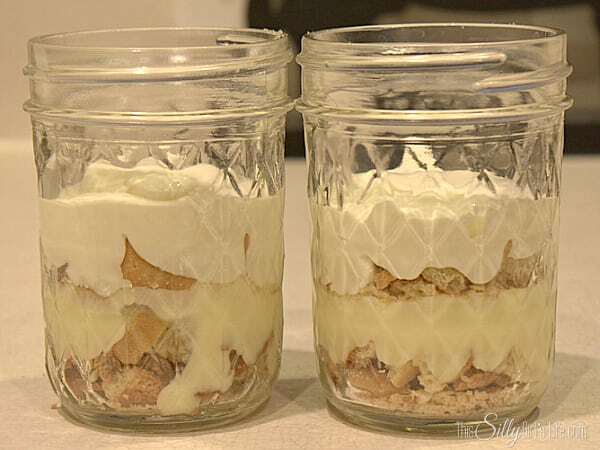 In medium sized mason jar, layer the vanilla wafer crumbs and the banana pudding. Add another layer of cookies and the banana pudding/whipped topping mixture. Add another layer of vanilla wafers and top is with whipped topping. 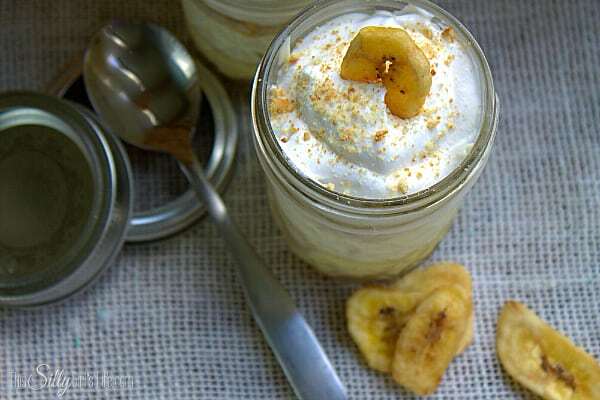 Add a light dusting of cookie crumbs to the top and a banana chip (optional) for garnish. Serve and enjoy! 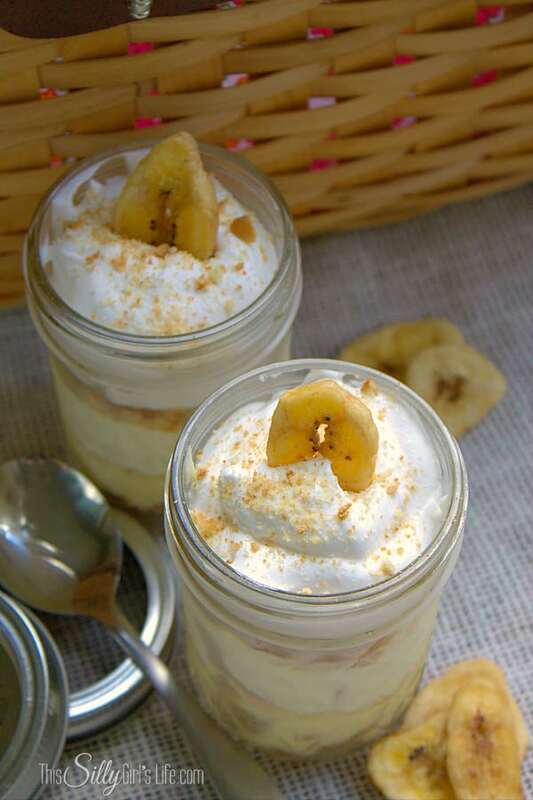 Of course, if you like real bananas in your pudding, put them! You won't hurt my feelings. Add another layer of cookies and the banana pudding/whipped topping mixture. Add another layer of vanilla wafers and top is with whipped topping. 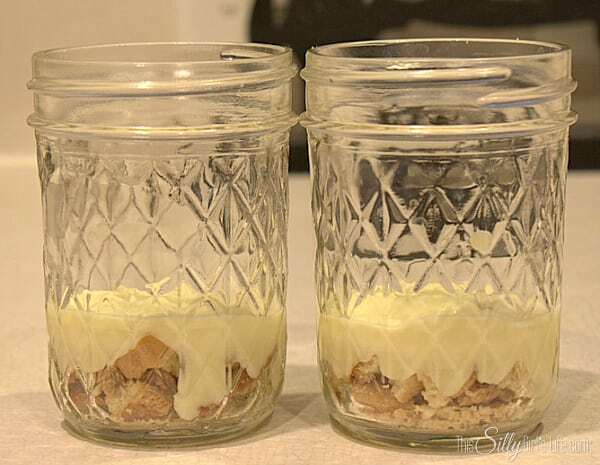 Add a light dusting of cookie crumbs to the top and a banana chip (optional) for garnish. Serve and enjoy! 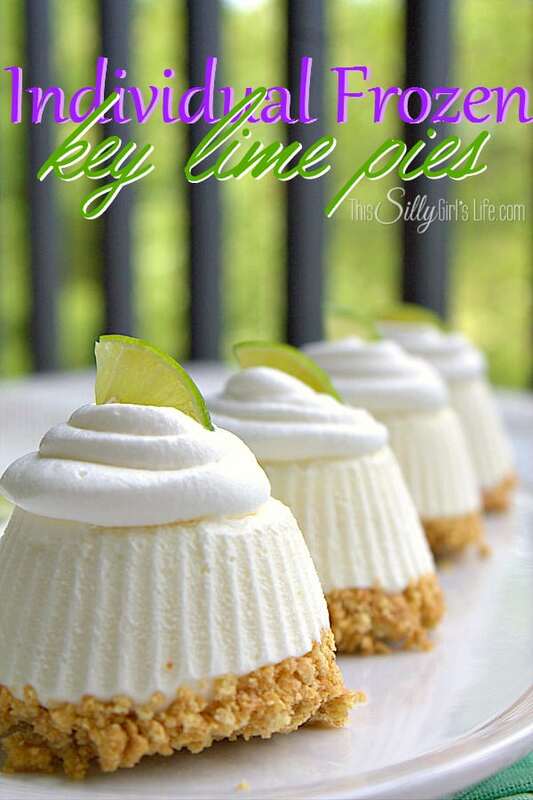 So easy and a great make ahead dessert! We had them at a little picnic and they were the perfect size. 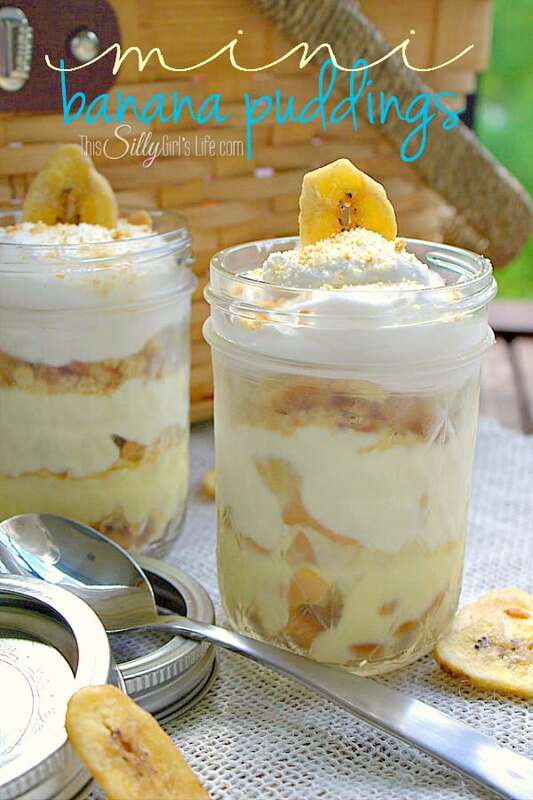 What is your favorite banana pudding recipe? I've seen it made so many ways lately and they all look delicious! 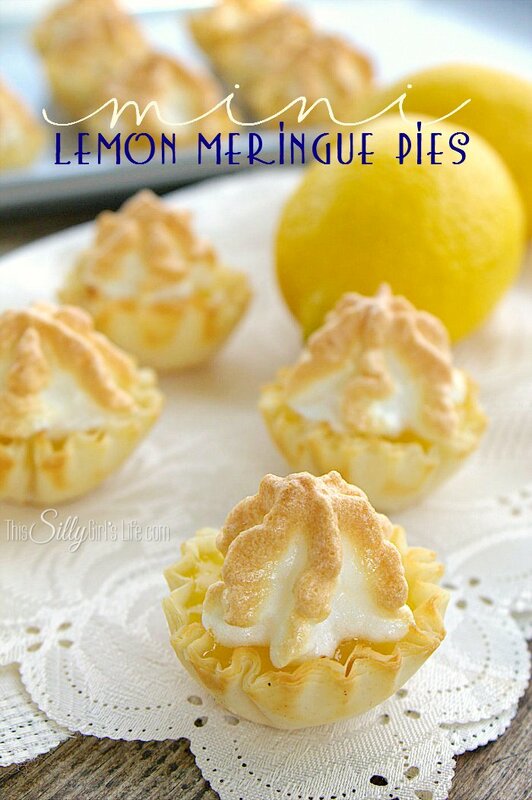 I hope you liked this recipe and will stop by my blog This Silly Girl's Life for even more yummy inspirations! 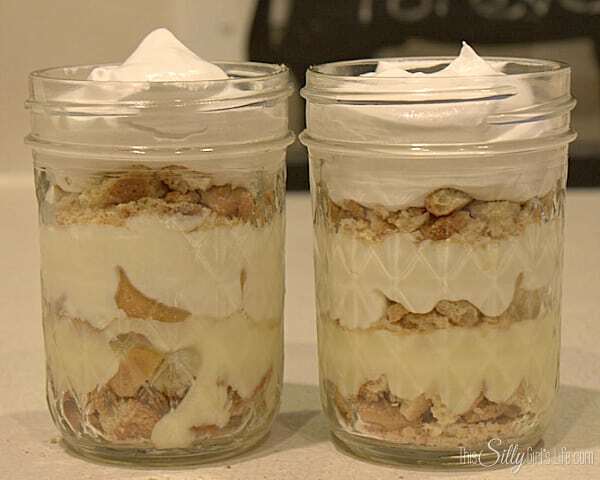 You might also enjoy these easy desserts, just click on the images! These look really good. 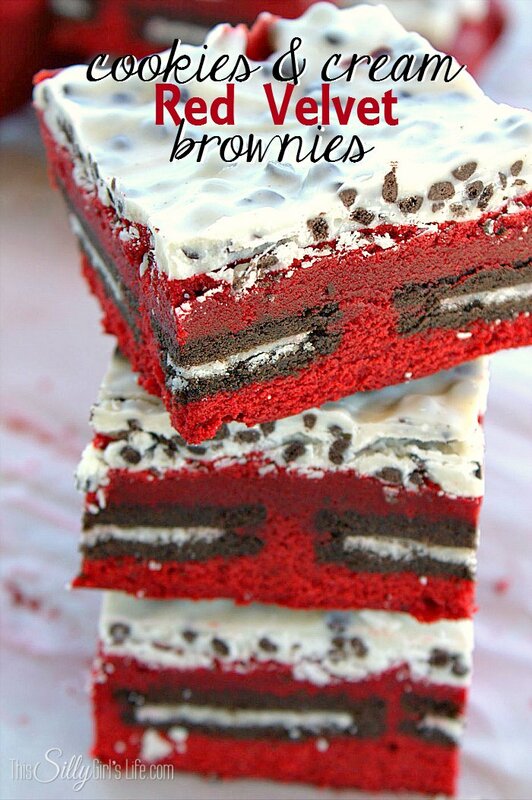 I'm considering making them for my daughter's bridal shower in a few weeks! Thanks for sharing with Foodie Friends Friday. Hope to see you next week!